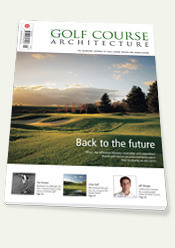 Issue six of Golf Course Architecture includes features on course renovation and restorations and the use of computer software in golf design. Does technology make for easier design work, or does it make architects lazy and discourage creativity? Legendary English amateur Gary Wolstenholme sounds off about the lengthening of classic courses in our Player column, stepping on a few sacred cows in the process. We have a review of progress on the new seventh course at St Andrews, including some spectacular photography. 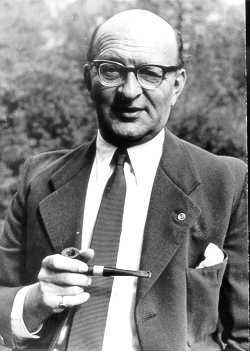 German golf historian Christoph Meister profiles Bernhard von Limburger, and our roving reporters visit a number of new or revamped courses, including Linna Golf in Finland, the Duke's Course outside St Andrews, and Royal Cinque Ports, Deal. Download the contents page for a full preview. 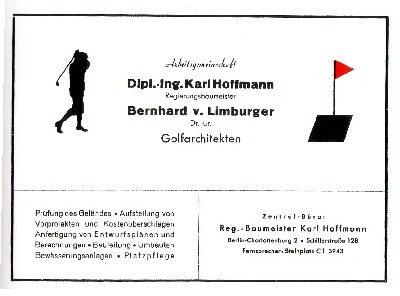 Eine komplette Beschreibung seines golfplatzarchitektonischen Lebenswerkes inklusive einer Aufstellung der von ihm designten Golfplätze findet sich in dem Artikel "Limmy, der andere Bernhard" in der Ausgabe 01/2006 der Golfzeitschrift PLOCK.